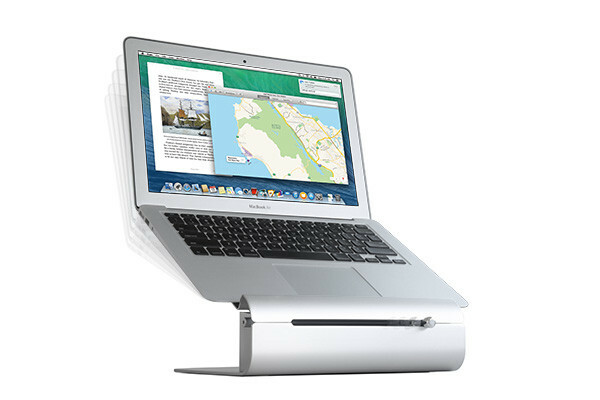 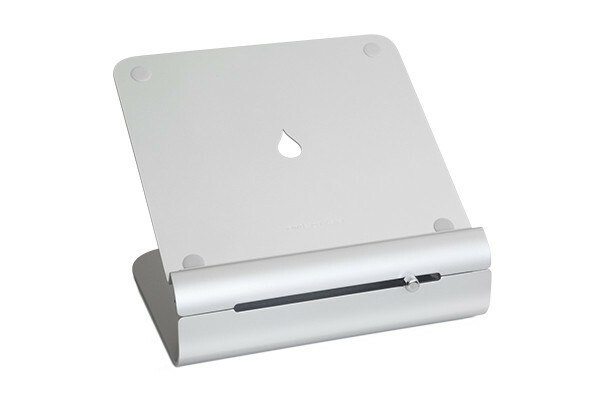 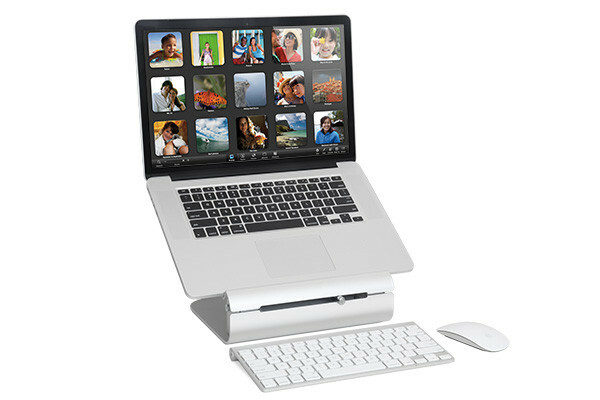 The iLevel laptop stand by Rain Design was created with the Macbook and Macbook Air specifically in mind. 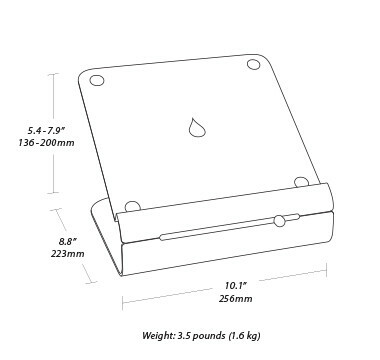 This stand provides height adjustment for the laptop by simply dragging the slider from right to left to change the laptop monitor elevation. 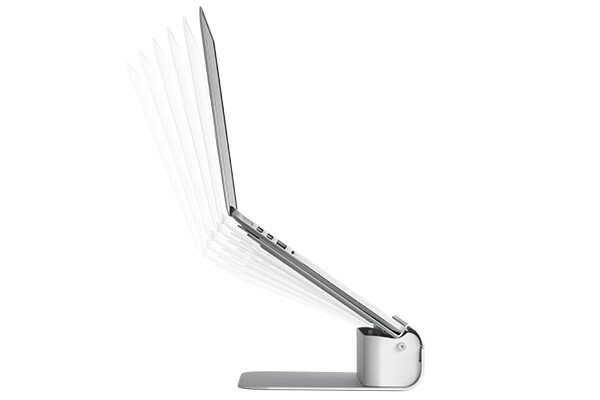 The sand-blasted aluminum and anodized finish matches perfectly. 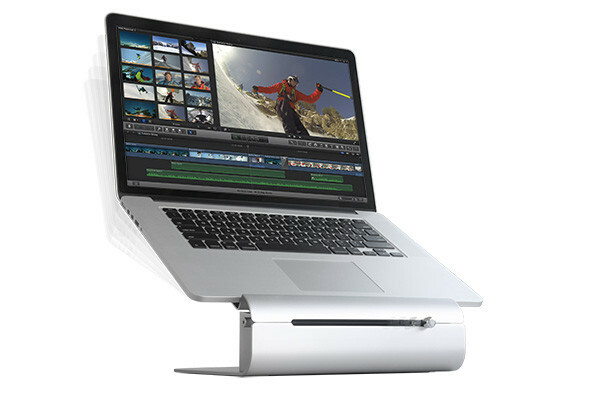 iLevel transforms your notebook into a dynamic and stylish workstation.